Sift together flour, baking powder, and salt. Set aside. Place butter and sugar in large bowl of electric stand mixer and beat until light in color. Add egg, vanilla and milk and beat to combine. Put mixer on low speed, gradually add flour, and beat until mixture pulls away from the side of the bowl. Sprinkle surface where you will roll out dough with flour. Divide the dough in half, roll out to 0.5mm thick, wrap in cling wrap, and refrigerate for 2 hours. Remove 1 wrapped pack of dough from refrigerator at a time. Cut into desired shape, place at least 1-inch apart on greased baking sheet, parchment, or silicone baking mat, and bake for 7 to 9 minutes or until cookies are just beginning to turn brown around the edges, rotating cookie sheet halfway through baking time if necessary. Let sit on baking sheet for 2 minutes after removal from oven and then move to complete cooling on wire rack. Serve as is or ice as desired. Store in airtight container for up to 1 week. In the bowl of a stand mixer combine the egg whites and lemon juice. 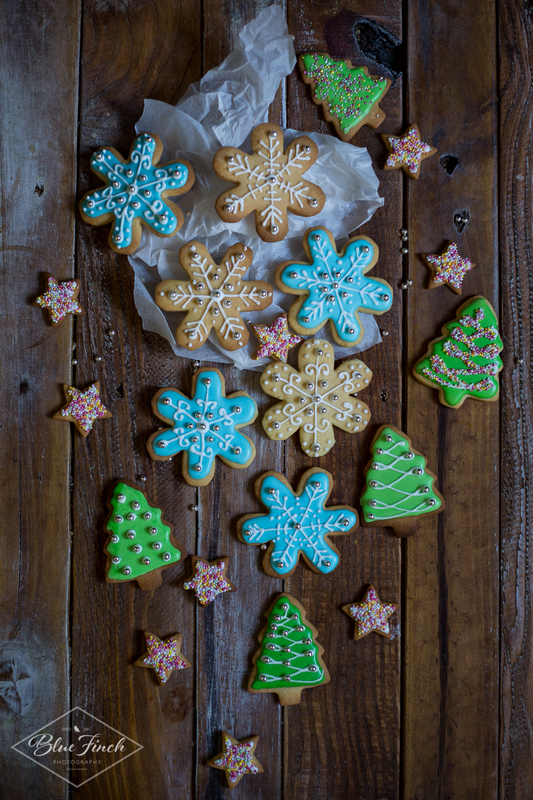 Add confectioners' sugar gradually, to flood cookies with icing use less confectioner's sugar, for piping use all the confectioner's sugar. Mix on low speed until sugar is incorporated and mixture is shiny. Add food colouring, if desired. Transfer icing to pastry bag or heavy duty storage bag and pipe as desired.